Online reviews – and actively responding to them – are more important than ever before to businesses today as 93% of purchase decisions are influenced by social media, including online review sites. Yelp is one of the best-known ratings and review sites but many businesses have a love/hate relationship with it. Do you need some help with Yelp? Digital Air Strike™ to the rescue! 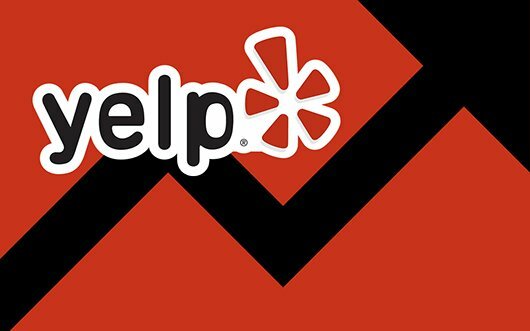 Why Should You Care About Yelp? Back in 2015, Yelp reported an astonishing 83 million users active across many different business categories. A handful of these included retail, restaurants, automotive, travel and hotel. Yelp is a partner with Apple which means any searches conducted on Apple Maps or Safari will reflect Yelp user ratings on your business and businesses with better reviews rank better in in local search results. It’s important to note that Yelp offers businesses a non-enhanced or enhanced page option. Non-enhanced is free but that does not mean it is without cost. • You’ll be limited to one photo in a single size that creates a visually unappealing profile compared to competitors with enhanced pages. • Other businesses competing for the same client base can have their advertisements appear on your page! • Unlimited photos and videos that can be easily viewed through a reel feature. 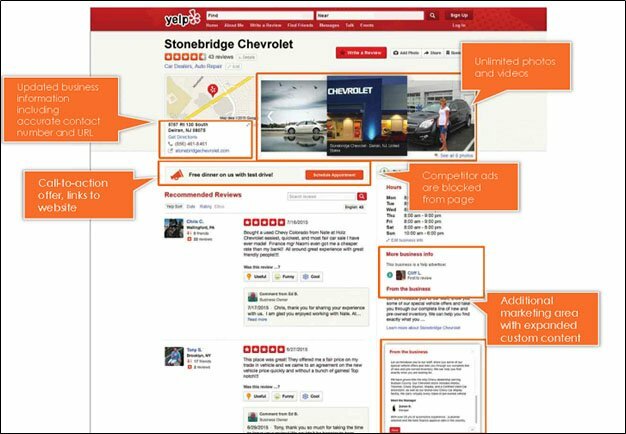 • Competitor ads are blocked and replaced with an expanded custom content feature, allowing your business to further appeal to potential customers. • There is an option for a call-to-action section which will direct customers to your website. 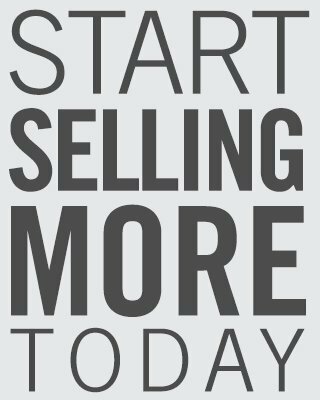 • Start with simple in-store advertisements such as custom counter cards, window stickers, and personalized business cards that inform customers that your business is active on Yelp. • Offer customer specials, also called check-in offers, to encourage a customer to further investigate your business. Some examples include discounts, freebies, or special amenities your business provides. Increasing engagement primarily comes down to offering check-in offers because potential customers can filter searches in Yelp to show only businesses with special offers. Check-in offers also allow an easy avenue for a customer to leave a review. If the customer chooses not to write a review right away, Yelp will remind them the next time they sign-in. 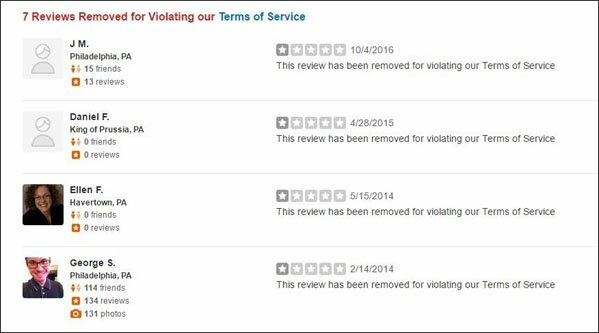 Yelp’s filtering mechanism uses many signals to weed out reviews left by customers of a business. These include quality, reliability, the level of a user’s activity on Yelp, and unhelpful ranting. Therefore, Yelp’s non-recommended reviews are not factored into their overall star rating. The bottom line here is, Yelp’s filtering mechanism looks for credibility and about 75% of reviews submitted to Yelp are labeled as recommended. Ready to really MANAGE your Yelp page? Digital Air Strike specializes in reputation management and keeping your business up to date with the latest changes in the social media and review industries. Our expertise and exclusive partnerships with the leading reputation and review sites have helped our clients remove thousands of reviews that would otherwise remain on site. We also have special discounted pricing built into our packages for Yelp enhanced feature pages – which keep competitor ads off your Yelp page. We also know how to dispute negative reviews and potentially have them removed by Yelp. Ready to take your business’s Yelp game to the next level? Sign up below for a free 10-minute demo and find out how we can elevate your social media strategy.